The Sikhs in Punjab had miserably deviated from the principles of Sikhism farmed by Satguru Gobind Singh Ji. The original tenets were being twisted by the Sikhs to suit their requirements. The Gurdwaras were also under the control of the selfish priests who were more bothered about their own bread and butter rather than propagating Sikh Religion. Thus, Satguru Ram Singh Ji decided to send his disciple Bhai Rai Singh to Hazoor Sahib in Nanded to note down the religious customs and daily routine being followed there. Bhai Rai Singh remained there for three and a half months and brought back the Maryada, which was then promulgated by Satguru Ram Singh Ji amongst the Namdhari Sikhs. He established and re-inaugurated the Khalsa Panth on the lines (mary ada) of Guru Gobind Singh Ji. The highest purpose of human life is realisation of the Almighty God and attain salvation. It is possible only after having been blessed by the living Guru and His Naam: Gurumantar. Piety and not the power will rule in the present age. Don't believe in idol worship. Get up three and three quarter houre before dawn and take bath from head to heal. Meditate on God's name (Naam Simran) and recite Gurbani. Learn by heart at least Japji Sahib, Jaap Sahib, Shabad Hazare, Reh-ras and Arti Sohila. Perform Havan on all the auspicious occasions. Recite Chandi-di-Var daily before the sun rise. Have full trust in God and the Satguru as embodiment of the God. Learn Punjabi in Gurrnukhi script and stick to mother tongue and your own culture. Wear white clothes i.e. a kurta, churidar pyjama and white turban. Wear rosary (or Naam Simran) made of wool and always keep Aasan a piece of clean cloth to sit upon), wooden sandals and Garwa (round iron utensil). Be a pure vegetarian and teetotaller. Eating of any type of meat, egg and use of all types of alcohols is strictly prohibited. Don't use tobacco in any from. Don't tell lies - speak the Truth. Believe in simple living and high thinking. Don't steal or commit adultery. Don't accept food, clothing or any thing else from a person, who has not taken Guru Mantar and not following the Sikh tenets. Treat the women folk of other as your own daughters and sisters. Non repayment of loans is a sin greater than theft or robbery. Generosity and charity should be the essence of one's life. Providing food to the hungry and clothes to the naked is a great service to the Almighty. Give the highest reverence to the Gurbani of Sri Adi Granth Sahib and Sri Dasam Granth Sahib and treat the Scriptures as the Eternal Truth, not only worship but follow its teachings. Always utter the name of God; deep meditation: (Naam Simran) should be daily recited at least two-and-half hours. 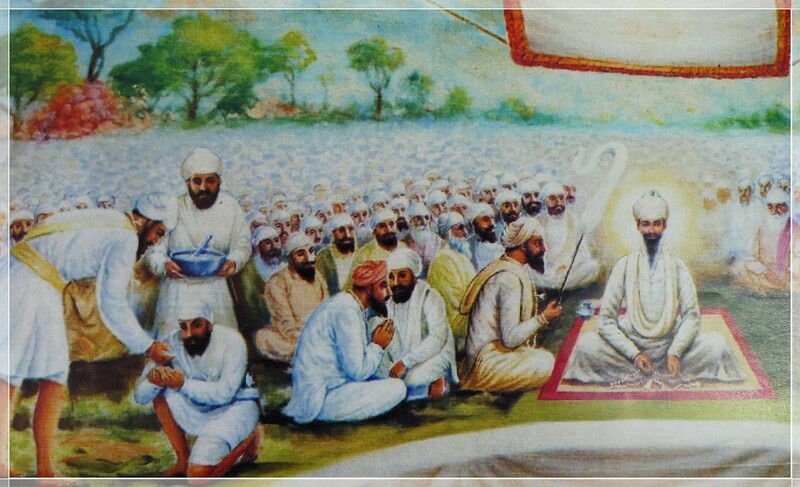 The Namdhari Sikhs followed the instructions of the Guru in the true sense of the term. They achieved the heights of spiritualism and morality by meditating on God's name (Naam Simran), reciting Gurbani and the blessing of the Guru. People in lakhs started pouring in Sri Bhaini Sahib and became the true followers of Satguru Ji. Satguru Ram Singh Ji visited different places of Punjab to bless the people with Naam. Whosoever, had glimpses of Him, got attracted by his charming personality.